April 17, 2018, Oxford, Conn. — Adam Equipment, a leading provider of professional weighing equipment, has announced that its Highland portable precision balance has received NTEP approval. Available in the United States, the Highland NTEP-approved balance is well-suited for use in any application in which products are sold by weight. With NTEP approval, the Highland balance meets the requirements for retail use in the jewelry, pharmaceutical, and the rapidly expanding cannabis industries. Three models are available, offering capacities from 600g-5000g and readabilities from 0.1g-1g. 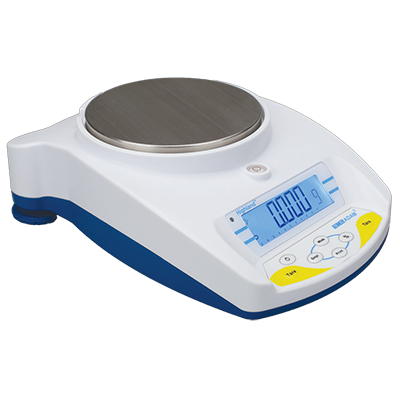 For more than 45 years, Adam Equipment has designed and manufactured precision balances and scales for professionals worldwide in the laboratory, medical, education, industrial, food, animal/veterinary and jewelry markets. Adam is committed to offering an extensive selection of weighing equipment with best-in-class value. Headquartered in the United Kingdom, the company has strategically established offices in the United States, South Africa, Australia, China and Germany to provide product support and speedy delivery to distributors.